As much of Europe and Russia freezes, forecasters predict North Pole temperatures could rise above 0°C this week, shattering previous records. As much of Europe and Russia freezes, forecasters predict North Pole temperatures could rise above 0°C this week, shattering previous records. 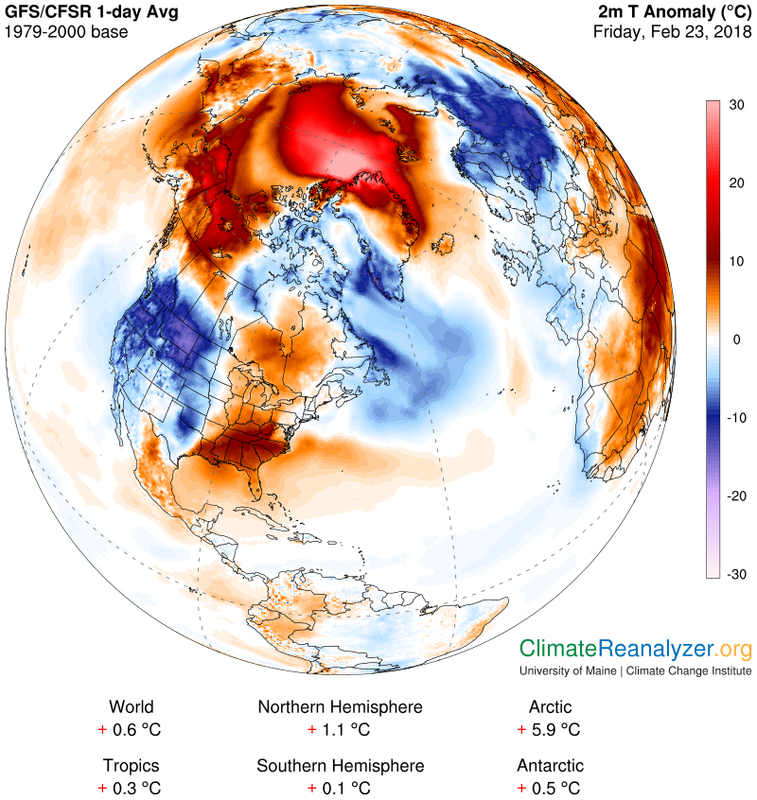 The North Pole and parts of Greenland are expected to be almost 30°C warmer than their historical average temperatures. Parts of Germany, New Mexico and the UK are forecasted to be colder than the North Pole this weekend. The extent of Arctic sea ice coverage is normally largest in March due to winter weather in the Northern Hemisphere. As we approach this year’s maximum amount, sea ice coverage is at a record low, and may break the previous record set in 2017, which was the third straight year of record-breaking lows. As of February 22, Arctic sea ice extent was 1.39 km2 smaller than average - an area more than twice the size of France. By 2040, only a thin band of ice is projected to remain in the Arctic Ocean during summer, along the northern coasts of Greenland and Canada - a region known as the Last Ice Area. WWF is calling for urgent action to protect the planet from the effects of climate change ahead of Earth Hour 2018.